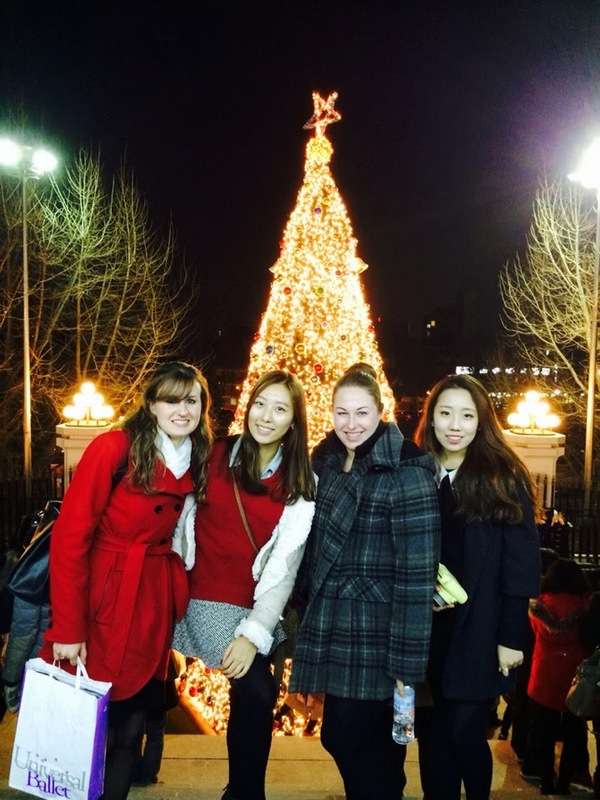 Since I've been updating about the holidays, I guess I shouldn't forget to mention how my Christmas week began--with a trip to Seoul. I had been looking forward to this weekend for some time because I had plans to see The Universal Ballet's production of The Nutcracker with some friends. As I've mentioned before, Nutcracker is a major part of the holiday season for me, and it was pretty depressing to be here while all of my friends were performing a few weekends ago. 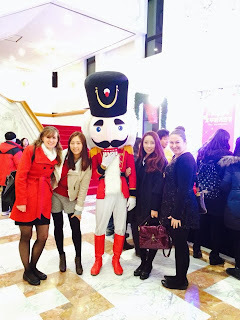 Needless to say, I was really excited to FINALLY get my Nutcracker fix and to check out one of Korea's two ballet companies. I went up to Seoul on Friday after school and met up with one of my friends. After grabbing a drink we went back to her place and got some rest for the next day. Saturday we met up with some other friends, grabbed lunch, then headed to Insadong--a large shopping area where I picked up a few things. My other friend from Jeomchon met up with us there, at which point she and I headed out to find a hostel to stay at that night. We found a place in Itaewon, a part of Seoul with lots of western stores/restaurants, because that was where we had plans to go out later that night. The hostel was only $14 for the night and was right around the block from where we would be later, so we were sold pretty easily on it. After changing for the ballet, we stopped and got some burritos at a Mexican restaurant that our friend had suggested to us. If you know me at all, you know how much I love a good Chipotle burrito, so needless to say going 4 MONTHS without any Mexican food just really hasn't been ok with me. We ate until we were completely stuffed (I mean, burritos are totally the classiest thing to eat before the ballet, right? ), then headed to the Universal Arts Center for the ballet. 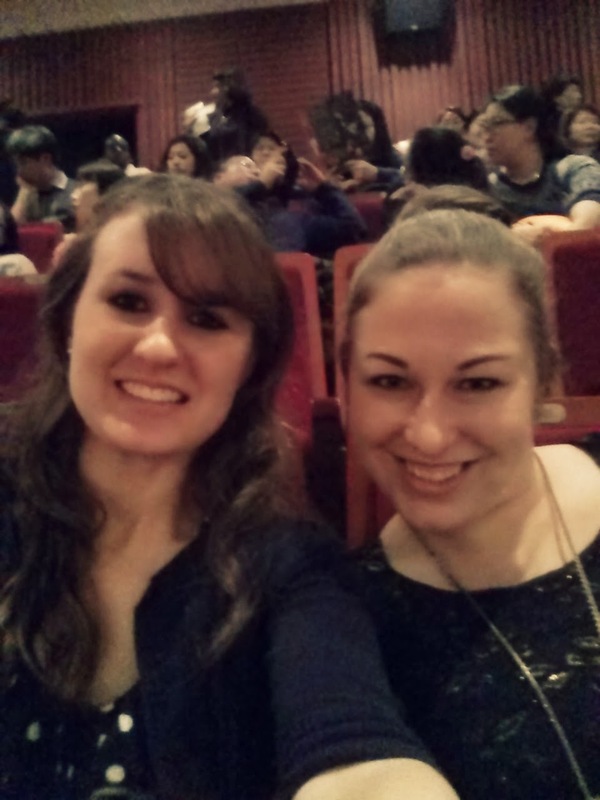 We then met up with two other friends, took some obligatory pictures, and took our seats for the ballet. Ready for the ballet to begin! Overall, I enjoyed the show. The dancers were good, and while there were some things I liked about the production as a whole, there were things I wish would have been a little different. The interesting thing about Nutcracker is that every company does it a little differently, so although the general story and music are always the same, each production is unique. All in all, the show was good though, and I especially loved being with my friends for their first ballet experience. After the show, we headed back out to Itaewon where we met up with some other friends. We went to one bar that I didn't particularly care for (ummm pretty much a really sketchy scummy place), before heading to a calmer, more laid back place, where our friend who lives in Suwon met us. 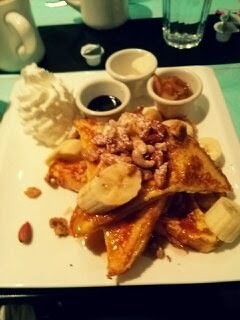 We stayed there for a while, before finally heading to noraebang. While we frequently end up at noraebang when we go out, this was probably my favorite noraebang session ever because we stuck to Christmas songs. Christmas noraebang? Just the best ever, and an awesome way to get some more Christmas spirit. The next morning we woke up, got some delicious brunch (yes, we were so happy to be able to get actual breakfast food at a restaurant!!! ), and finally made our way back to the bus station. As always happens with the weekend trips, time went by way too quickly and I was left wondering where the time went. Overall, it was another great weekend in Seoul. Seeing Nutcracker and spending time with friends was probably the best start to the holiday week that I could have asked for.